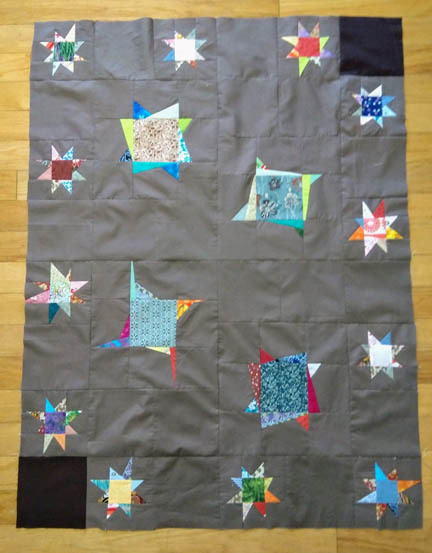 Most of the dark stars for the wonky stars quilt are made. I think there may be two more to finish. But I have a nice stack of them. I have some serious love for these on the darker fabric. I do wish I had made the entire quilt with this. But of course, I didn't have enough of this fabric to do it with. The entire center section is now joined into one big chunk of quilt. It is rather rumpled in the photo - and for that I am sorry. My hope it that this will make a very nice comfort quilt for someone who needs a bit of brightness in life. Next up after sewing the final two star blocks is assembling the side rows and then the top and bottom rows to finish the top. Depending on what the weekend holds, I may be able to finish it before Monday. 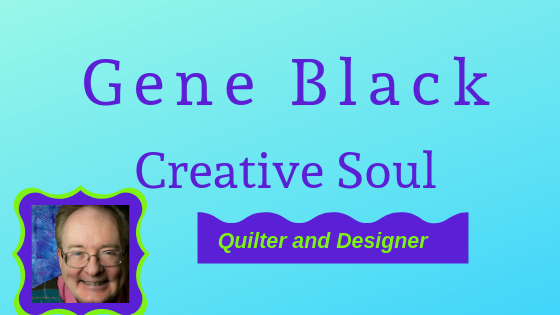 It's going to be a wonderful comfort quilt! The stars twinkle under your dark sky.